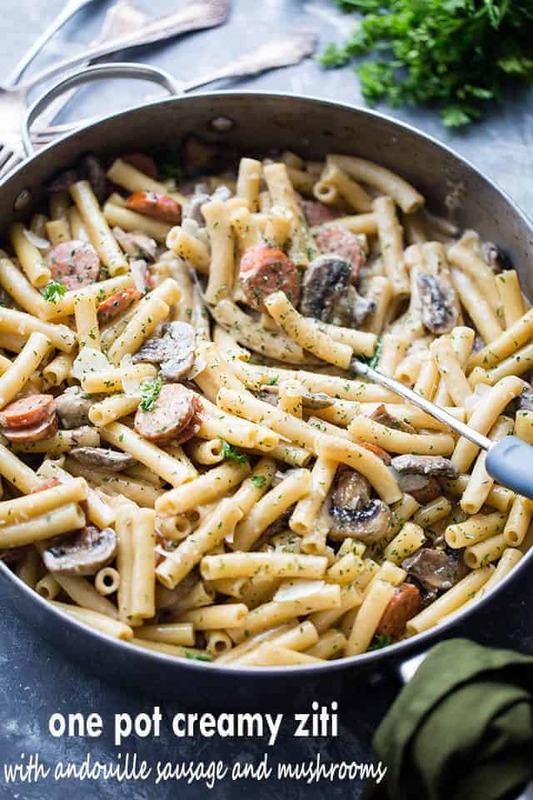 This wonderful creamless creamy ziti pasta dinner is jam packed with delicious andouille sausages and mushrooms, and it’s prepared in one pot and on the stovetop! HALLO! HALLO! Happy day! It’s Friday and I’m ready for it. I am ready for the weekend. No plans or anything like that. Just looking forward to the kids sleeping in tomorrow so I can get 15 minutes of TV and coffee in the early morning, before all the screams and demands start. Know whadda mean? Other than that, it’s a good weekend for pasta. A pasta that is going to be prepared on the stove, in one pot, and in just 25-ish minutes. THIS is that! No need to tell me. I know. I’ve been hitting the andouille sausage a bit too much lately, eh? Both are very, very good. I hope you find the time to try them! How do you make easy one pot ziti? 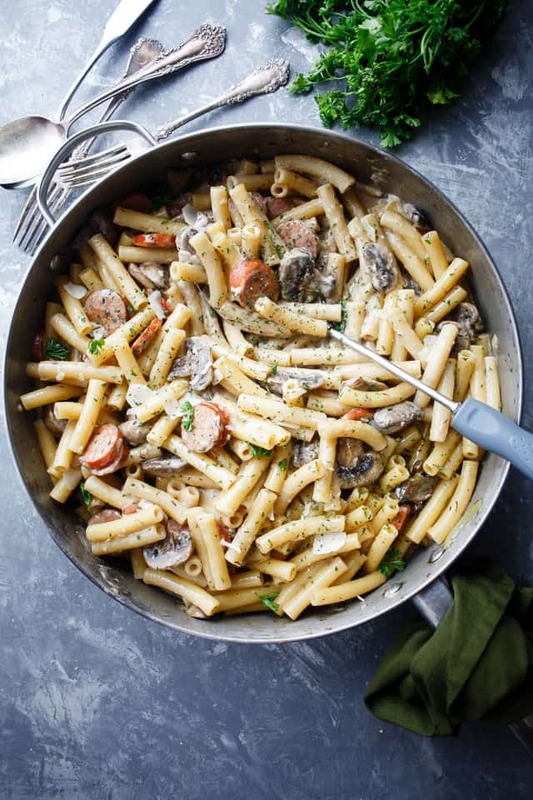 This creamy ziti pasta is what happens when you buy 30 pounds of chicken, 10 pounds of andouille sausage, beef, pork, etc… from your local farmer. He gets me every time. Oh! I got some honey, too. And jams, and pies. Lawwwwd, now that I think about it, I dropped some real cash over there. It’s cool. Gives me a variety to choose from when testing recipes for zee bloggy. The combination of flavors in this are just too good, you will be tempted to eat it all right out of the pan. I know of someone who did just that and she was completely satisfied. She also used gluten free pasta once before and couldn’t be prouder of the outcome. You don’t have to do that, but you should know that it will work. SO this makes a lot of food. Have a crowd coming by for the weekend? Make this. AND a big salad. 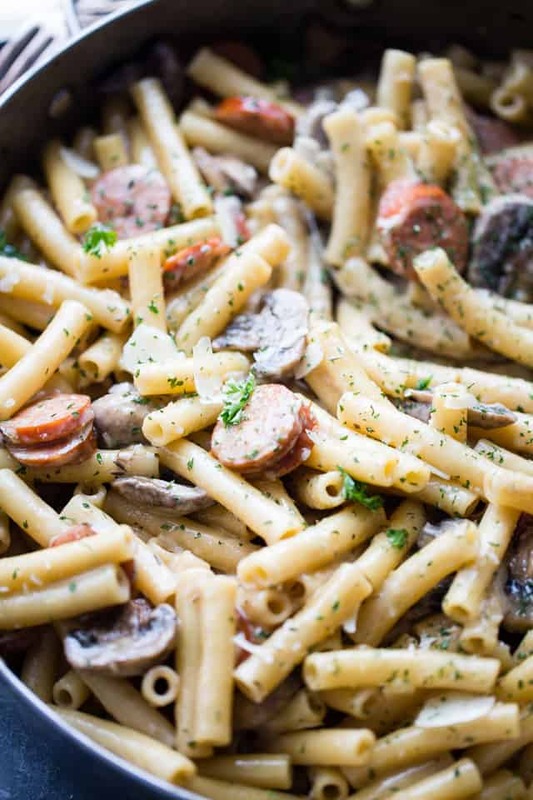 What you’re looking at is creamy ziti pasta prepared with sausages, garlic, mushrooms, and thyme in the same pot! WITH a very tasty, creamless creamy and velvety sauce. The trick is in using evaporated milk instead of heavy cream. I’ve also used skim milk in this go-to sauce of mine, but had to thicken it a bit with corn starch or flour. 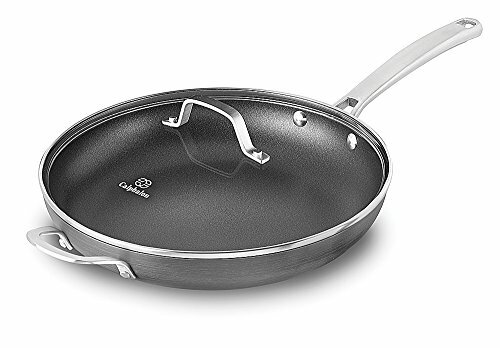 The only thing left to tell you is to whip out the biggest skillet/pan that you have, slice up some sausages, mushrooms, and onions, mince thy garlic, and open up a can of evaporated milk. That’s all. Now, git ‘er done! 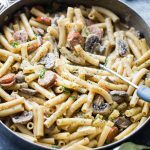 One Pot Creamy Ziti with Andouille Sausage and Mushrooms - This wonderful creamless creamy ziti pasta dinner is jam packed with delicious andouille sausages and mushrooms, and it's prepared in one pot and on the stovetop! Heat olive oil in a large pan or non stick skillet. 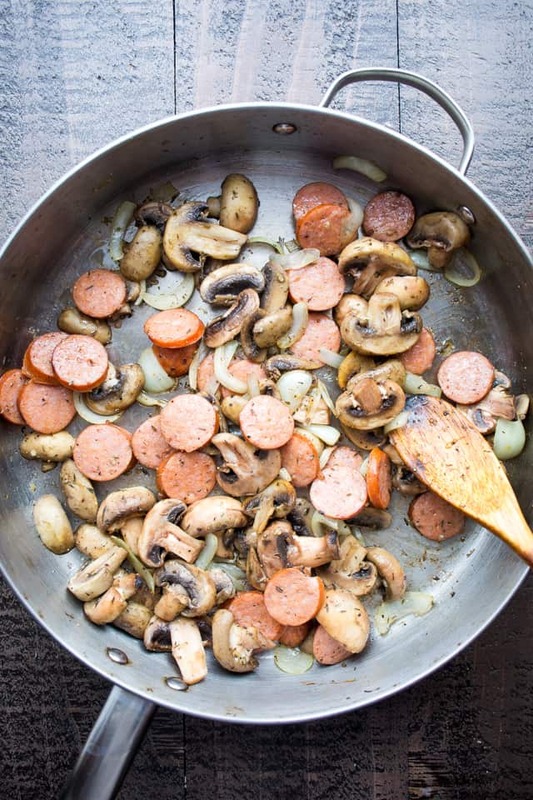 Add sliced sausages, mushrooms, onion, and garlic; season with thyme, salt and pepper and cook, stirring frequently, for 6 to 8 minutes, or until mushrooms are tender. Stir in water, chicken broth and evaporated milk; bring to a boil and add the pasta. 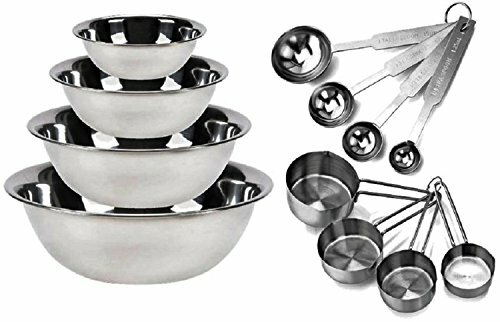 Continue to cook for 10 minutes, or until pasta is done, stirring every 1-2 minutes to keep pasta from clumping together. Add parmesan cheese and stir until well incorporated and you have a smooth sauce. Remove from heat and sauce will thicken as it stands. Garnish with fresh parsley and a sprinkle of parmesan. Andouille sausage is high in sodium; please look for lite, low sodium chicken or turkey andouille sausage. 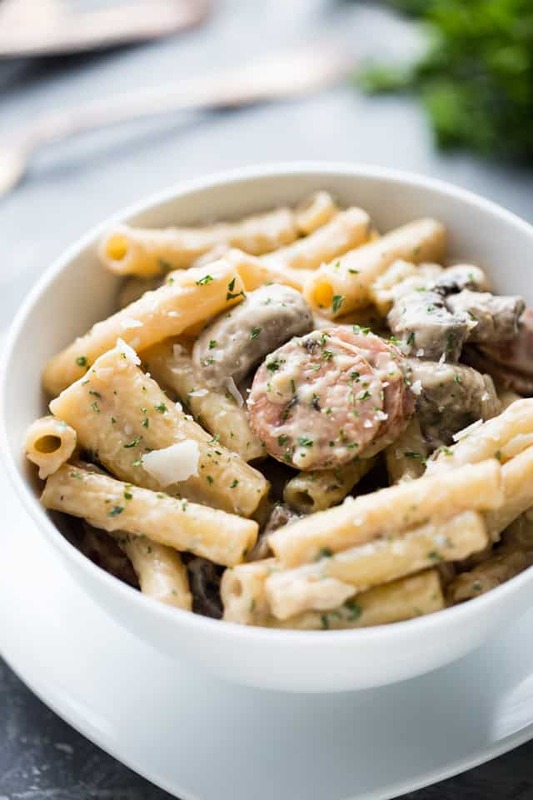 If you want a thicker sauce, at the end of cooking the pasta, spoon 1 tablespoon of the evaporated milk sauce into a mixing bowl and add 1 tablespoon corn starch; whisk until thoroughly combined and stir it all back into the skillet; continue to cook and stir for about 1 minute. 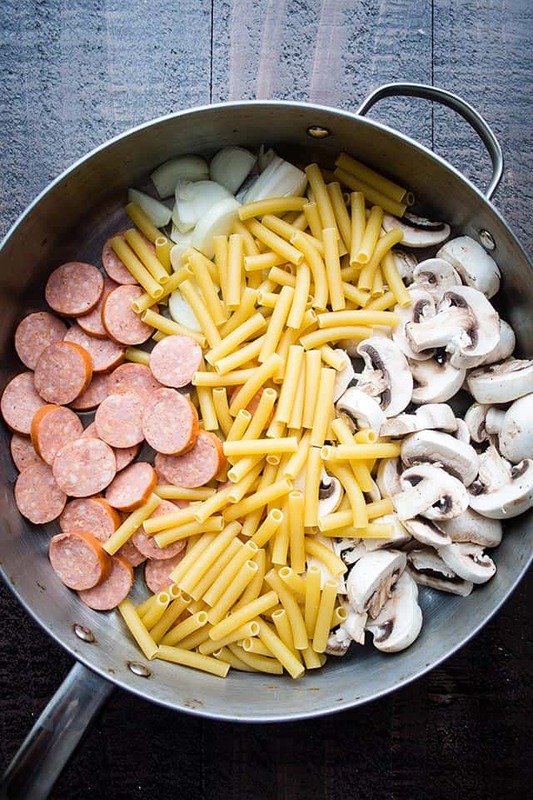 One delicious and quite striking pan of pasta. Yum! This looks delicious from start to finish! May I ask you,since I’m not that far from you,what local farm you hit up? 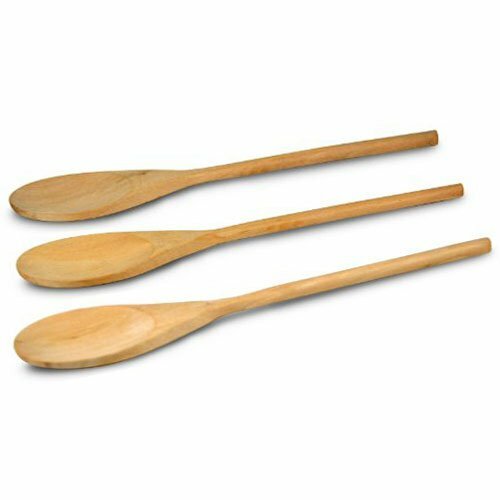 Been meaning to look into one for my meat sources-thanks in advance! I am always down for a good one pot meal! That sounds heavenly, especially with the addition of that flavorful and spicy andouille! All I gotta say is YUM! And no cream! Great recipe, great photos, too! Love that it can be made in one pot and quickly! Perfect weeknight meal!